Russian President Vladimir Putin visited the World Judo Championships in Budapest on Monday, where he promised Hungarian Prime Minister Viktor Orban a theory lesson in the martial art in which he holds a black belt. Martial arts enthusiast Putin did not miss the opportunity to visit the ongoing championships in the Hungarian capital while on an official trip to the country, and was accompanied by Orban. “Thank you for the invite. It’s not football of course, but a very good sport,” the Russian president joked at the start of his conversation with the Hungarian PM. “I am trying to learn (judo),” replied Orban. “I’ll teach you the theory,” promised Putin. 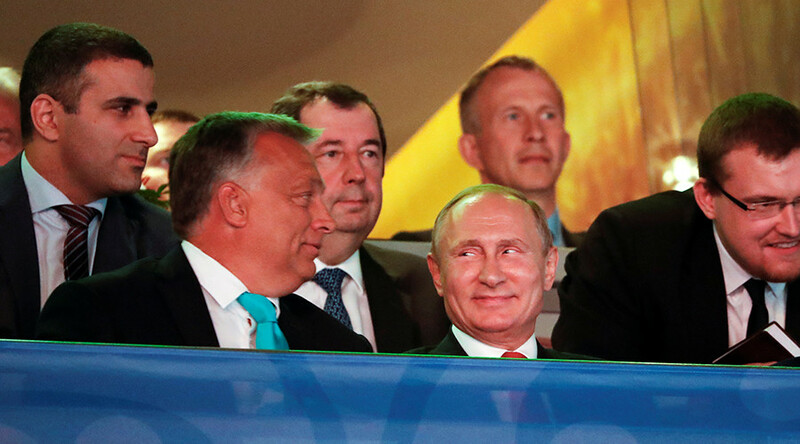 Orban also stressed the importance of Putin’s visit to the tournament, adding that books on the theory of judo have been published in Hungary to popularize the sport, and often feature the Russian leader. “They (the books) often quote you speaking about what one can learn through judo and so on,” Orban said. In 2000, Putin co-authored a book titled ‘Judo. 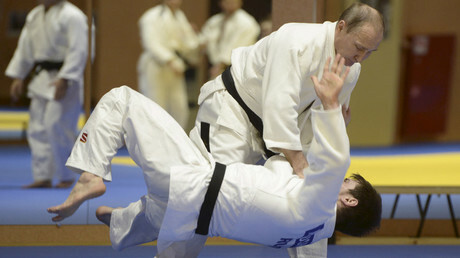 History, theory, practice,’ which is also known by the name ‘Judo with Vladimir Putin’ in a different edition. Putin began practicing judo and sambo wrestling as a teenager, and has achieved the title of national master of sports in the latter, as well as a black belt in judo. He was awarded the 8th dan black belt level in 2012, becoming the first Russian to achieve the honor. The World Judo Championships are taking place in Budapest from August 28 to September 3 , with a total 795 athletes from 134 countries set to participate, including 30 from Russia.